When you have kids, laundry becomes a chore of insanity. We complete and hope for different results each time, that the dirty clothes would stop piling up! Alas, only in a fairy tale or when the kids grow up and move out do the never ending piles of children’s clothing end. In the meantime, how do we keep brighter, fresher clothes without all the chemicals, toxins and perfumes. 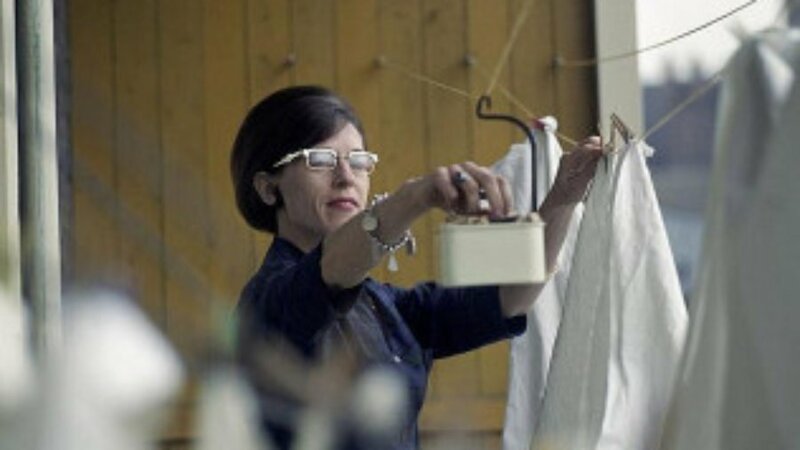 For me, I love fresh laundry and bright colored clothing; what I do not love are dingy clothes that still have hard to remove stains, like whites for instance. Even colored clothing can have hard to remove stains, so here is a great DIY laundry brightener that is cheaper than oxy clean and safer for your colored clothing than bleach. Now you will have almost an entire laundering arsenal at your fingertips with this DIY laundry brightener plus my DIY Laundry Detergent and DIY Fabric Softener. All of these items are right out of your pantry, bathroom and or are under your sink. What you need is some patience, measuring cups, and storage. I have scoured Goodwill for some really excellent glass storage jars or glass beverage dispensers that house these magical laundry items. They really give your laundry room a beautiful, clinical and clean look that others will covet. Using your empty jar and or storage container, add all ingredients. Gently shake in order to mix all ingredients together. Add to your bleach tray in your washer and or toss in with your regular detergent. Only 1/4c each load will do for brighter whites and less dingy clothes. 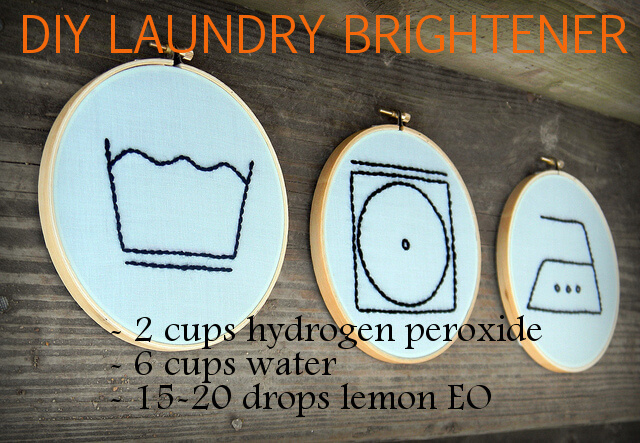 This DIY Laundry Brightener is sure to brighten your laundry days as well as your clothes for your family. Thanks for sharing…Great info, can’t wait to try! Not to difficult at all, will give this a try. I am going to try this, it sounds so much better than what I am doing now. I am going to try this. I have sensitive skin and am very careful when I do my laundry to the point I washed mine separate from my sons clothes when he was growing up. I can’t wait to try this! I would also like to try this on my white kitchen counters! I definitely can’t wait to try this idea! Thanks for sharing! I actually have a few unopened bottles of hydrogen peroxide so I’ll give this a go. I need to get my whites whiter! I’m afraid to use bleach and this is gentler. All those years using bleach and here’s such a safe, effective alternative! I have probably used bleach only a small handful of times, as it’s something that I REALLY hesitate to put anywhere near nice clothing. This DIY formula looks like a really great alternative. Thank you! Nice easy DIY recipe! Thanks for sharing your expertise! brightener and its so easy to make,,, Thinking of the money I am going to save. i need to make this.. cheaper than ordering online and waiting for it to get here. This has got to be an improvement over the smell of bleach. As I start my EO collection, this will be one recipe I want to try. This is the first time I have ever read about homemade Brightener and I can’t wait to give it a try on my dingy colors! Thanks for sharing! Seems like a basic, very doable recipe for a laundry brightener!